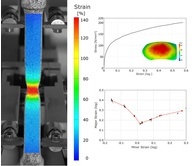 ARAMIS is the unique solution delivering complete 3D surface, displacement and strain results where a large number of traditional measuring devices are required (strain gauges, LVDTs extensometers, ...). The same system setup is used for multiple applications and can be easily integrated in existing testing environments. ARAMIS provides an import interface for CAD data which are used for 3D coordinate transformations and 3D shape deviation calculations. 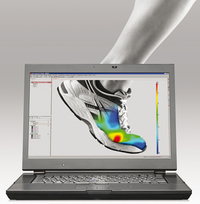 The ARAMIS software provides real-time results for multiple measurement positions from the test objects surface. 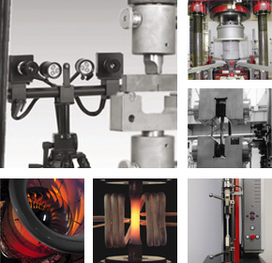 As part of complex process chains, optical measuring systems have become important tools in industrial processes in the last years. Together with the numerical simulation they have significant potential for quality improvement and optimization of development time for products and production. 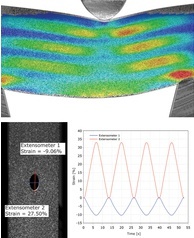 ARAMIS strongly supports the full-field verification of FE-simulations. Determining material parameters with ARAMIS helps to evaluate and improve existing material models. The import of FE result datasets allows to perform numerical full-field comparisons to FE simulations for all kind of component tests. AThus finite element simulations can be optimized and are getting more reliable. The entire measuring, evaluation and documentation process is carried out within the integrated ARAMIS Software. The full potential of the available hardware is used to capture and evaluate the measuring area efficiently and with high accuracy. Learn more about the functionality of the powerful ARAMIS Software in the Software pages. On request, there is a special High Speed configuration available, with frame rate up to 5000Hz (1000000Hz) and camera resolution up to 1024 x 1024 pixel.